Today Brother Kevin Crowley was awarded the Oireachtas Human Dignity Award for his work with homeless people. Brother Kevin founded the Capuchin Day Centre for Homeless People in 1969 and today the centre provides support to those most in need. 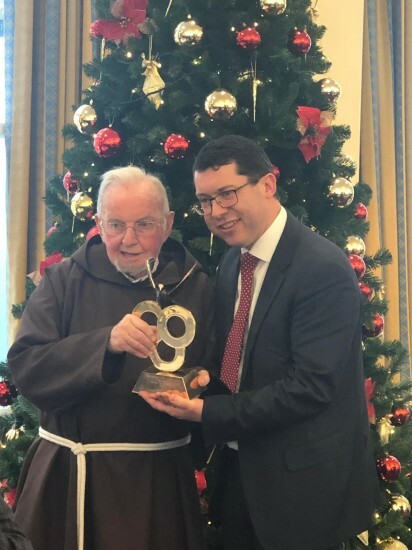 Congratulations to Brother Kevin on this great achievement and to all those associated with the Capuchin Day Centre.